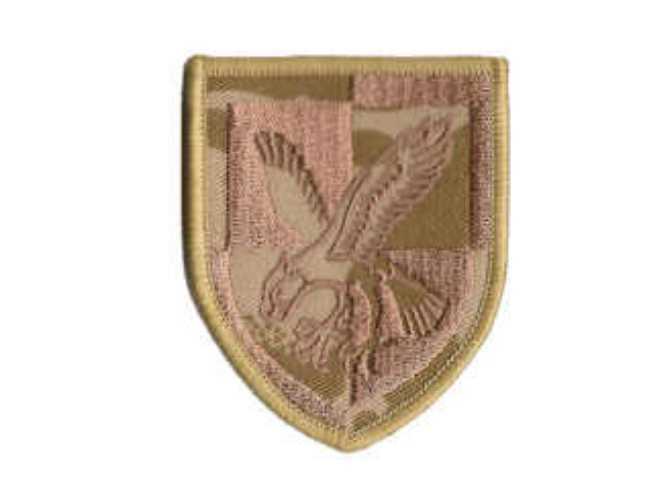 Regulation pattern recognition patch desert detailed on a shield divided per quarter. Worn on the left sleeve. This version is usually worn in the field.